60 Capsule Bottle - Olivus® super strength OliveLeafMAX Capsules are the next generation of olive leaf supplements. 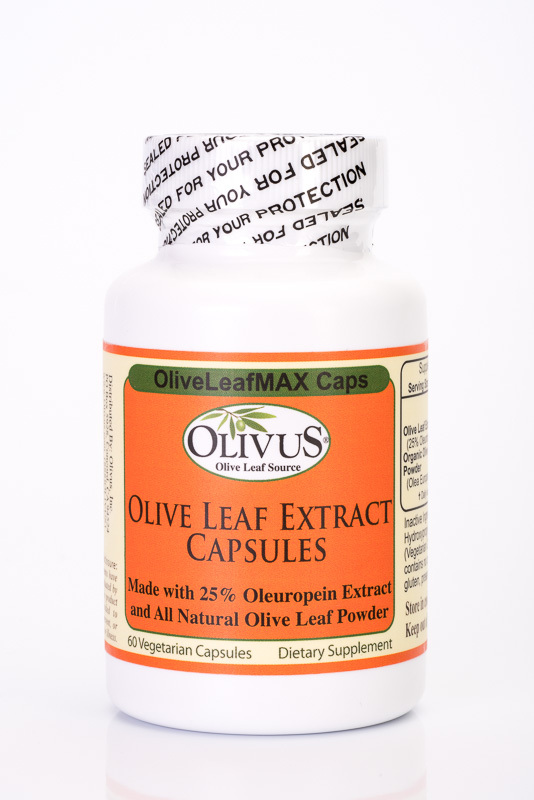 OliveLeafMAX Capsules are formulated to provide the power of 25% oleuropein extract (250 mg) and the wide spectrum qualities of olive leaf powder (250 mg) all in one vegetarian capsule. **For high potency and wide spectrum herbal benefits choose super strength OliveLeafMAX. 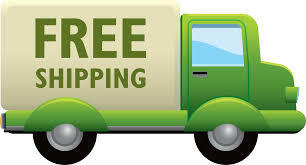 ** Vegetarian capsule shell ingredient, hydroxypropyl methylcellulose (plant based), is gluten and casein free. OliveLeafMAX capsules contain NO additives, fillers, flow agents, gluten, corn, peanut, egg, or animal product. WHY OLIVE LEAF POWDER: Certified organic olive leaf powder is unprocessed containing all leaf constituents such as hydroxytyrosol, tyrosol, oleanolic acid, and other polyphenols shown to be highly antioxidant and beneficial for a wide spectrum of health benefits. WHY NO FILLERS: We use NO fillers or flow agents such as magnesium stearate, silicon dioxide, maltodextrin, titanium dioxide, and others shown to be harmful ingredients. Our capsules are entirely Olive Leaf Extract, Olive Leaf Powder (non-GMO certified organic), and hydroxypropyl methylcellulose (plant based) capsule shell which is gluten and casein free, and vegan safe. SOURCED FROM SPAIN and MANUFACTURED IN THE USA at an FDA-registered facility insures the latest GMP standards are followed. Olive Leaf is sourced from Spain, the world's largest olive grower and subject to European Union standards similar to that of the USA. This means you can be confident each capsule of our olive leaf supplement will contain only non GMO, vegetarian ingredients. SHELF LIFE: 2 years from manufacture date printed on bottle. Store out of high heat over 80 degrees F (27 C), direct sunlight, and moisture (refrigeration can cause moisture and lead to mold contamination). Excellent results with short course of max dose. Next step: tapering off to maintenance dosage (just received bottle of 300; will add tincture and topical cream/s prn). Excellent customer service. Info received with orders is worth creating (yet another) file! Very good product. The powder was fresh and I got the result I was looking for. After years of battling sinus issues and becoming immune to the Z pack and other antibiotics, my coworker gave me some OLE capsules. As soon as I felt sinus pressure, I took a capsule and I swear the next day, the pressure and congestion had decreased. A few days later I felt fine. I placed an order for my own capsules. I have been taking an OLE capsule everyday. Tried another brand, but this was far superior. Tried another brand, but this was far superior. Going to order the bigger size now. Thank you! This product really works for treating herpes. I have type 2 herpes and I use it when it start to itch. You can take the pill via mouth or break the pill apart and apply directly to the infected area. I would personally recommend applying the product to the infected area as the itching will go away. Good product overall. No side effects! I can really tell the difference using this product. My Mom always bought me and my sister olive Leaf religiously. Out of the both of us I was the one that probably got sick the most. My Mom would purchase olive leaf but at a lower strength in stores for around the same price as this really good one from this website. It just didn't get any better! Very satisfied, helps me stay healthy and sick free. I have only been using for 2 months and I can see a change in my health and energy . Will continue to write reviews while im on my journey in curing HSV. I find that OliveLeafMAX is very effective in fighting flu, especially when I use it at the early stages. I can usually avoid fevers. I stumbled across Olivus online researching treatments for shingles. I had the terrible itching all over, mild fever and fever blister breakout on my mouth. I ordered OliveLeafMAX and within 2 to 3 days all the itching was gone and the fever blister healed faster than I've ever experienced before! It was wonderful! I also felt more energy which I had been struggling with feeling very sluggish for years. It was a year ago when I first ordered but I order it regularly now and never want to be without it. Seriously, its that good. If you are around someone with a cold this will keep you safe too. It can literally fend off colds etc. By the way, I also found that putting ketchup on cold sores and keeping it on through the night when you sleep and during the day (if you can) will speed up cold sore healing too. I would definitely encourage people to try this product. You don't have much to lose to try it but if it works for you it will be far more valuable than the price tag! I have Cystic Fibrosis which means I'm prone to lung infections. I have a sensitivity to prescription antibiotics and although they cleared my lung infection there was always the crappy side effects and the negative impact on my body afterwords. I have been taking this for the past 8 months and have not had any bad side effects or worry about having to rebalance my bodys good bacteria, it has taken care of it all. I havent been hospitilized all year or been sick for very long. I wouldnt know what to do without it, this truly does what medicine should do. So far so good. Been taking this for 2 months now. I really like this product. SO far so good for me. I feel relieved n blessed that I found this product to help me with my condition, when I found out about my condition, I felt hopeless and my life was over! Due, finding your product it gave me new hope to life. I really hope it helps me in 6 months I'll know if this is really TRUE! THANKS😊, for giving me hope to my life again. Wonderful product, as advertised and happy there are no additional fillers in this. Cannot wait for this to really hit and work on my system. Great product!You have to follow the instructions and start slowly as the capsules are very powerful. I have used two bottles already and reordering! This is the holy grail of Olive leaf extract. Plain and simple this works! I only ordered this 60ct bottle because they were out of the 300ct bottle at the time. This formula has done amazing things toward the recovery of my health.